DjangoCon EU: Nephila flyes to Cardiff! Nephila agenda 2015 is eventful! Early on we have decided to support and participate in Python and Django's conferences both nationally and internationally. This year the events in which we participating are numerous. Officially our of technical conferences season began on March 21, but the list of meetings we are participating is till long. The next event we are attending isDjangoCon EU, the annual European conference dedicated to Django platform, which will be held from May 31 to June 5. Like many meetings aimed at exploring the open source technologies, it is an “itinerant” conference. Every year, in fact, the organizers choose a different location for this significant event, which attracts hundreds of developers and enthusiasts from all over Europe. For 2015 Cardiff will host the conference. For us, the Welsh capital is a good luck charm town. 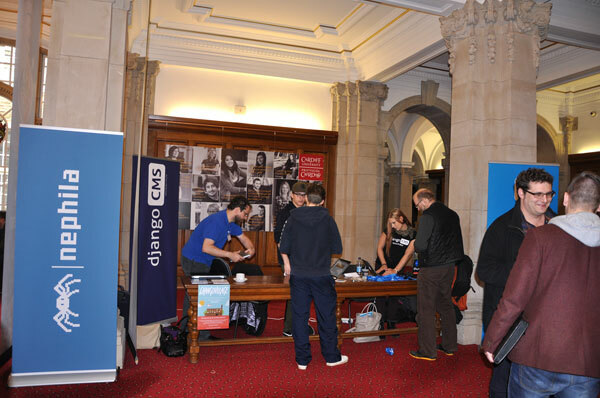 We started our British adventure precisely at the University of Cardiff just over a year ago, during the Django Weekend conference. On that occasion we participated, with a particular talk conceived almost like a dialogue, focusing on the relationship within the company that is established between the engineering and the business side. Django Weekend was an important chance to meet the people with whom we had worked remotely, as well as to get in touch with new challenges. Even duringDjangoCon EU we will intervene acting as speaker, and once again with a particular format: a panel concerning the CMS platforms for Django will be held; Iacopo will naturally give a talk about django CMS and will get himself in comparison with developers of other CMS of Django; It will certainly be an interesting comparison and challenging for us to further improve our favorite CMS. In this regard, the conference will be an opportunity not only to promote the application but also to collect feedbacks on the operation from participants and users of django CMS. Any opinions and suggestions gathered during such events are indeed useful elements that allow the technical board to understand how to improve the application. We have chosen to support the conference as golden sponsor, primarily because we feel a special bond with the Cardiff Django community and because of the personal ties of friendship that bind us to them. Furthermore, our will is to contribute positively to the Django community, from which we draw a lot of code for our projects. Meeting other Djangonauts is a natural way for us to expand our capabilities and create professional and human relations. This is also why for 2015 we have decided to focus a lot on the a lot English British conferences, because one of our goals is to consolidate our presence in the UK. In fact we feel deeply akin to the E-business dynamics in London and in the United Kingdom, and our hope is to get increasingly established as a technological reality, which is dynamic and ready to experiment.